Do you want to protect video with a password? Well, check this tutorial about how to protect any video with a password on Windows. The security of the files that you have stored on the computer isn’t something that should be taken lightly, primarily if you work in a team that is shared with other users. Not because of how personal or private these videos may be, but merely because they are yours and no one should have access to them except us. A measure to prevent others from watching our videos is to hide them or change their name or extension. However, this is a massive task and one that can often be confusing. Another viable alternative is to add a password to the folder that contains them, but you may want other people to see some of these videos, leaving others uncovered. What you have left is to add a password to each video, which we can learn to do if we continue reading this article. 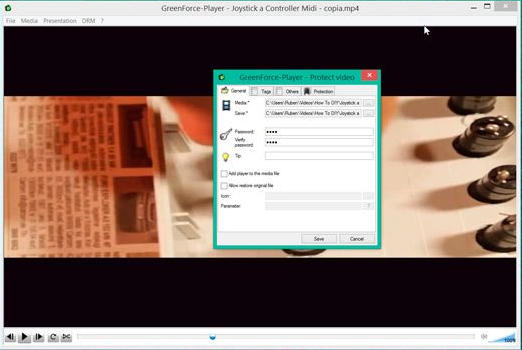 Unfortunately, there are a lot of video players, at least that is popular, that can protect a video with a password, being one of the few that offer this option GreenForce-Player, which is also an excellent media player with many options and features. 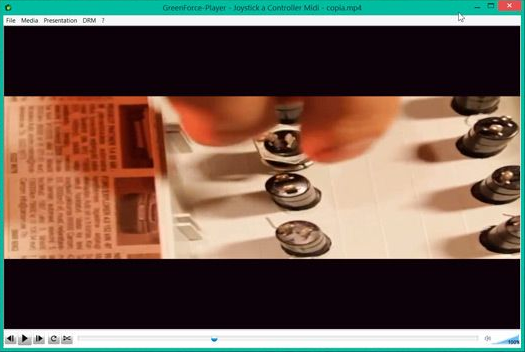 Step #1: The first thing you have to do before embarking on the task is to access the official GreenForce Player page by clicking on this link, and download the installer, which is compatible with Windows XP, Windows Vista and Windows 7/8. It should be noted that there is also a portable version that doesn’t need to be installed in the system. Step 2: Once you have downloaded the player, install it following the instructions of the installation wizard. Step 3: When you finish with the installation, run the program, and move to the menu, and there click on File and then on Load. When the dialogue box opens, select the video that you want to protect with a password. Step 4: After that, click on the option DRM. Next, click on Video Protect. Selecting this option will open a window, in which we will have to add the desired password in the Password field and repeat it in the Verify Password field. It should be noted that in the field Tip you can indicate a hint of the password, with which to recover it in case of forgetting. Step 5: After that, press the Save button so that the program begins to perform its task. To prove that everything went well, close the GreenForce Player and opened it again. Then click on File and then Load to load the video to which you have added a password. If the procedure has been carried out correctly, a dialogue box must be presented asking for a password. To unlock the video, all you have to do is enter the password. It should be noted that for the system to work, you must have GreenForce Player installed as the only system player since the others don’t respect the password method implemented by it. Ase easy as that you can protect your videos with a password to prevent any person to watch your video. You only need to download the free software and start locking your videos. Do you know another way to protect videos? Let me know in the comments section.